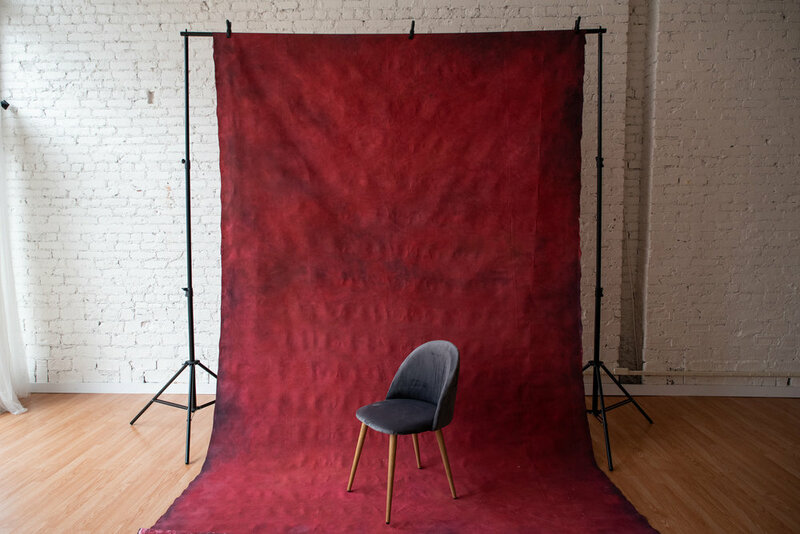 Our hand-painted backdrops are available for pick-up or for use at Studio 42. We welcome you to come take a look at our current stock - please make an appointment to ensure the studio is open. Measurements will vary slightly. Each backdrop is hand cut. 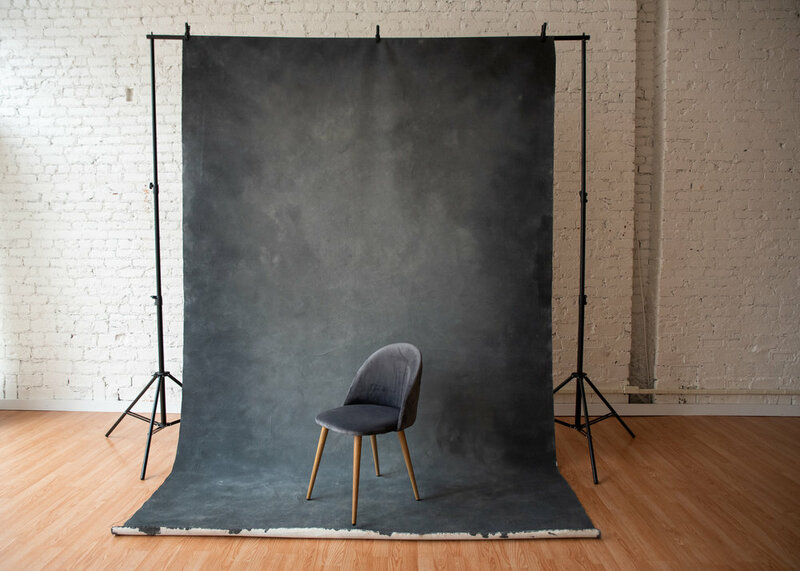 Rentals are 40% off of the rates listed above when utilized at Studio 42 (studio space must be booked separately). A rented drop must be picked up between 3-6 PM the evening before your rental and returned by noon the following day. If your timing needs vary, please let us know at the time of your request, and we will do our best to accommodate you. Backdrops are rolled onto 12 ft tubes. Please be aware that you will need a large vehicle to transport them. Rental will not be refunded based on inability to transport. 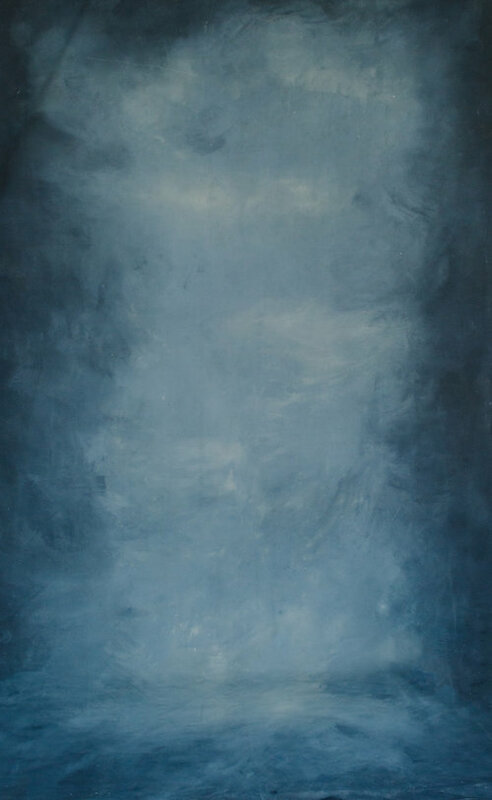 Please treat our backdrops with care, just as you would any other one-of-a-kind artwork. Keep them happy by sweeping the floor before unrolling them, and avoid creasing or folding.